The power of a praying mom is truly a beautiful thing. I tell you this not because I have done a great job praying for my children but because my mom is a prayer warrior. I have so much admiration for my mother and one of the things that stands out to me the most from her life, is her dedication to prayer. I want to be a prayer warrior like her, when I grow up. I have spent the last month reading books, devotionals and the Bible to glean more on prayer. Every time I walk away, humbled and challenged to seek Him first. We recently had our back to school party for my sons class and as I was preparing for the party one of the things God put on my heart was to add a time of prayer for our children. We weren’t able to spend individual time in prayer for our kids at our party but I was able to share 10 Prayer Ideas for Parents to pray over their children. I encourage you to pray over your children whether it’s the morning when you are getting them ready for school or when they heading out the door. Or at night when they are going down to sleep. Say it out loud so they can hear you. 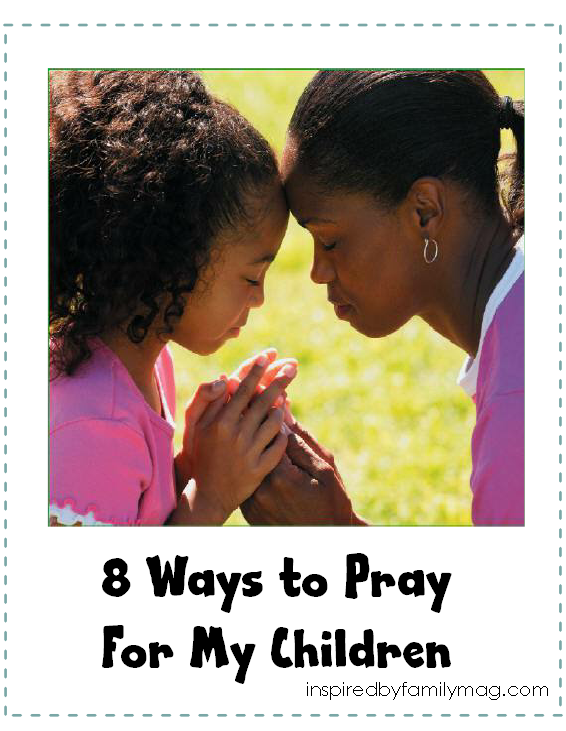 This challenge is also for myself because I want my kids to know that God answers prayer. I want my boys to know that God is our strength and guide and for them to see that mommy and daddy go to Him. Praying scripture is powerful thing, so what I have done is taken verses from the Bible and turned them into prayers for our children by adding blank lines for our child’s name to be inserted as we pray. I have these printables for you to download in Spanish and English. Enjoy! Hi Anna, I am so glad it was helpful and even more excited that you’re using the Spanish version. I usually don’t do both languages here on my blog but since I was going to share this with my sons class whose classmates are mostly first language Spanish speakers I decided to share it in Spanish. Blessings and enjoy!